May 2014: Portland Art Museum‘s Contemporary Art Council toured my studio along with Clinton MacKenzie‘s, Christine Bourdette‘s, and Jim Blashfield‘s studios. Almost Double, a painting in lithographic tusche on 2 overlapping sheets of translucent Yupo, was selected for the Live Auction on May 3 to support Cascade Aids Project’s fundraising efforts. It sold for double the asking price. 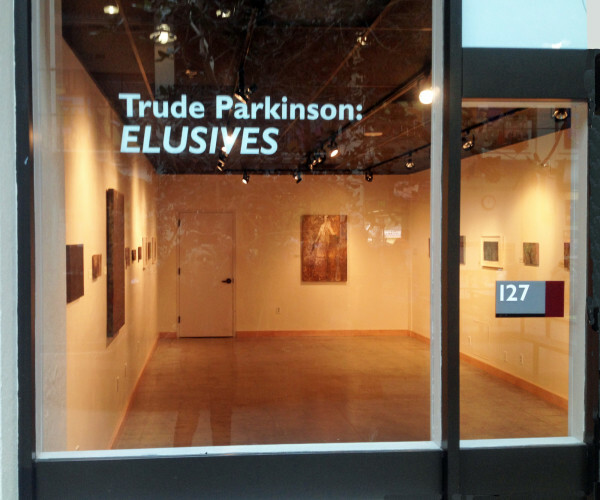 April 2014: Elusives, an exhibition of oxidized paintings, is on view from March 31 – April 30 at Helzer Gallery, Portland Community Collge, Rock Creek Campus. Reception and artist’s talk, Friday, April 18 at 12:30 p.m. In the body of work she titles Elusives, Parkinson uses unstable materials such as metallic paints that oxidize, change and darken. Like our bodies, her paintings suggest the inherent instabilities and beauties of human existence. In these explorations, she intertwines strength and fragility in equal measure. April 2014: The monotype, Green Hands, was on display at Augen Gallery, Portland, Oregon. March 2014: Portland Art Museum‘s Northwest Art Council toured my studio along with those of Clinton MacKenzie, Christine Bourdette, Whitney Nye, and Lori Mason. Bonnie Laing-Malcolmson, Portland Art Museum’s Curator of Northwest Art, introduced each artist who gave a short talk and answered questions. The NW Art council graciously treated the artists to lunch afterward at Meriwether’s Restaurant. 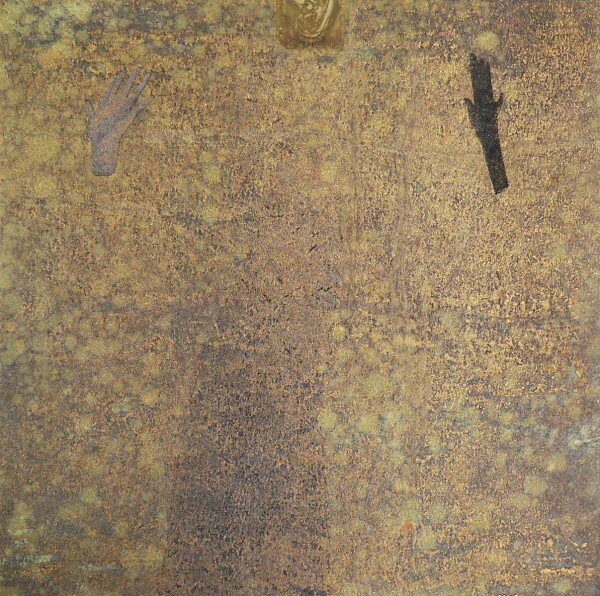 February 2014: Two monotypes, Green Hands and Gold Ear, are in a group exhibition in February at Augen Gallery, Portland, Oregon. 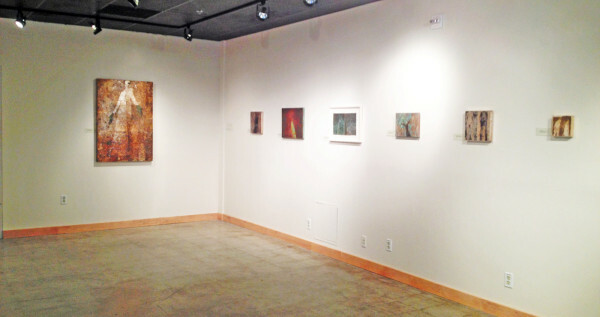 October 10 – November 1, 2014: Oakland Museum of California Senior Curator of Art, Renee de Guzman, curated the monotype, Gold Ear, into the 2D-3D Works exhibition at Horton Gallery, Delta College, Stockton, California. 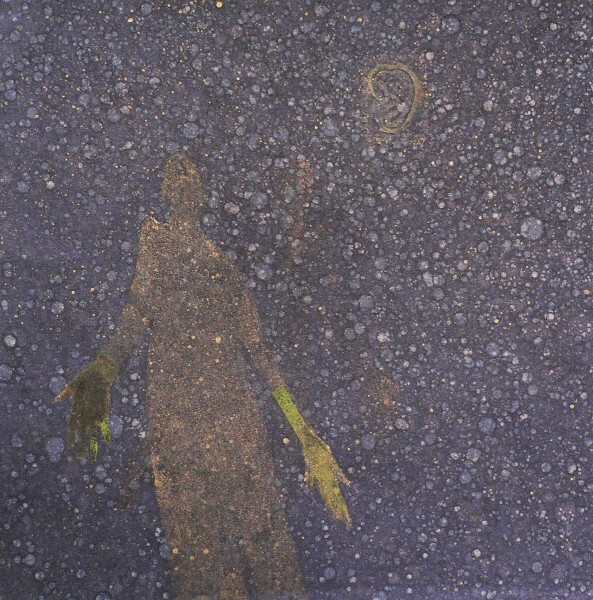 July 14 – September 14, 2014: The monotype, Green Hands, is in an exhibition, Collision, at the Center on Contemporary Art, Seattle, Washington.